Since the issue of harmful insecticides surfaced, one may try to make a do-it-yourself tick spray for yard. What comes in mind is to find the alternative and chemical-free substances to replace the toxic chemicals. 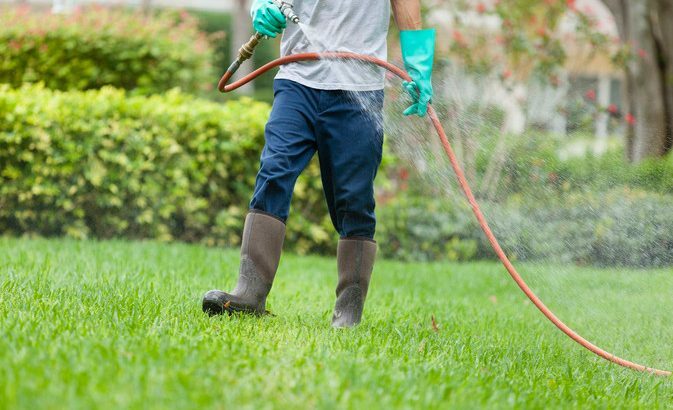 However, up to this day, chemical based insecticide is proven to be the most effective weapon to drive fleas and ticks away from yards and lawns. It could be possible to try such home-made remedies to eradicate the pests from your pets. However, it is more complicated to use those to clear your yard from these bloodsucking insects. A study conducted by the University of California reported that the only effective spray to clear outdoor area from ticks and fleas are the chemical ones. No home-made remedies could be as efficient as them. They are safe indeed, but such simple mixture would not do the trick. It becomes more dilemmatic when dangerous chemical-based tick spray for yard is more efficient than the more natural solutions. Fortunately, if you want to avoid using these harmful chemicals, you can prevent ticks and fleas from infesting your yard by keeping it clean and well-trimmed. Get rid of dead leaves and fallen branches for they could be occupied by the pests to make nests. Always keep your yard regularly exposed to sunlight because ticks and fleas larvae won’t survive in such heat. It would be unnecessary for you to apply tick spray for yard if your yard is already tick-free.